Greetings Dear Ones, I AM here to bring forth an update on the current energies at play on Our Beloved Mother Earth. The Solstice energies and much of the Celestial Bodies, are assisting the collective with the release of any lower, dense energies… Energies that do not resonate with the Soul. The Chiron Retrograde and Pluto opposition are some powerful healing energies, which will assist in the acceleration of this release. What these energies are going to bring up are deep, core wounding issues. These energies can even bring forth what many call, “The Dark Night of the Soul”. Let us delve deeper into these energies for clarity, healing and transformation. As always, Awareness transforms into Consciousness. Emotional healing work is cyclical. It takes time, and patience; our own personal evolution doesn’t spare us from revisiting old issues time and again, so that we can see them through different eyes and deal with them in more mature, responsible ways. It takes self-forgiveness, because, at times, this cyclical route might feel like failure – like being trapped in the same old schemes, not really going anywhere. It takes courage, because the very act of re-opening old wounds can trigger feelings of frustration and despair. We have traveled to reach a place where we could see ourselves fully, accept ourselves for who we are, as human beings that are here this time on purpose, as human beings who failed and made mistakes, as hearts that love who they love in spite of doubts and outside symphonies, as people that sometimes need plenty of time before making a decision or a move, as individuals who need to rest and relax for hours sometimes to find the inner temple and integrate, as people who know themselves and value their own good and inner peace enough to say No to what doesn’t feel aligned, as people that needed to withdraw from a bunch of situations to feel in complete self-love and respect. As Gaia ascends and raises the vibrational frequency of Her grids from 3D to transitional 4D and into 5D and higher, we are invited to ‘come along’ with Her during this Great Shift. Our capacity is LIT up at our most leading edges of BEing and the seed of our sacred human is watered by PURE love and light waves. At this leading edge of BEing, we have the potential to respond to these frequencies from Gaia with open hearts, minds, and souls. This embracement guides us into unknown and Infinite Possibilities of access to extrasensory perceptions and expressions of our ‘super human’ selves…becoming like the super heroes that we watch in movies. Yet, the Great Shift is a death and rebirth process, so not meant to be smooth and easy. To bring in the NEW, the old must be let go of. The Twin Flame Path as we already said, is a journey back to the Self. We’ve already spoken of “finding oneself” and “the authentic self” but we are now able to go further. It is about balance between the Inner Masculine and Feminine, which I will sum up to make things very simple and straightforward between the essence of the self, the soul, the heart, the core and its goals, wishes and desires AND the possibility of a physical, tangible, functioning and “powerful” (I’ll detail more about this word below) life in the actual world we are living in From this Soul-Self. It is all about finding, in time, through experiences, tests and self-discovery, the How we create a life from the Truth. We have decided to take on a bigger role in helping you with your ascension journeys. We are preparing to exercise our free will to offer our assistance in giving you the energetic boosts that will help you to understand more clearly who you really are. Your willingness to receive our help and to let that energy in is very encouraging to us. We see you all reaching out and reaching up and receiving that which we are transmitting, and it gives us more than just a little bit of hope. We enjoy helping just as much as you enjoy being helped. Our energy matches the crown chakra quite nicely in all of you. So as you receive these energetic transmissions, you may wish to focus there. On The Leylines ~ Discover Earth’s Energy Grid! Leylines are the meridians of planet earth. Different leylines provide different energies to keep the chi of our planet flowing. After almost having been forgotten, and having been hi-jacked in the third dimension to create an even deeper sense of duality, they are now being rediscovered and understood by a larger population. So called gridworkers have been and still are working on re-establishing and strengthening the leyline grid around the planet, anchoring the new energies that are coming in at major grid crossings, cleaning out, releasing and transforming low frequencies and re-directing the new energy into the meridians. The purging out of the older frequencies from the cells, may feel like what you call negative emotions. At the higher frequency realms, it is part of the transformation. As all of your cells are transforming and vibrating to these higher frequency realms of Light. The shifting in consciousness to the Higher Frequency Realms of Light, allows the timeline you exist in to automatically attune to the higher frequency dimensions you exist in already. Currently everything in illusion is dissolving, the dominoes are falling. We Highly recommend Letting Go. Once the Right and Left Brain are in Sync, then you connect into your Higher Self, which is also the Pineal Gland Opening. The Pineal Gland is also the Higher Grid, Which is the Higher Thought. The Brain which is not the mind is currently being brought into the Higher Grid, also a part of the Crystalline Body Awakening. When the Unibrain is connected, through connecting into the Higher Self, which is also the Pineal Gland Opening, this is the Higher Grid, “Divine Intelligence”, Also called “The Kingdom of Heaven”. This brings wholeness of being, also called Full Consciousness. This is when the “Multi-Dimensionals” “Welcome you Home”. A sunspot has developed on the sun. The sunspot itself is the size of planet Earth! It’s massive! It is directly facing Earth, and it is spewing beta-gamma energy frequencies towards the planet now. This could result in an M Class Solar Flare, but even if it doesn’t the gamma frequencies are still being felt by the energy sensitives. * Headaches * Floaty – feeling ungrounded * Visions (Clairvoyance) * Downloads~ high pitched ear ringing (Clairaudience) * High energy – then long periods of rest. * Body Aches as the body detoxes toxic emotions and environmental toxins. * Heart palpitations can be felt as the heart’s electromagnetic field expands into connectedness of the 3rd Eye and Crown, connecting higher heart and higher self. We have some fantastic news to report. We are still in the GATEWAY of the Solstice Energy. Remember the Solstice can last up to 10 days before and after the actual event takes place. In this case with the Solar Eclipse arriving in August it will last much longer. This becomes a Gateway unto itself lasting through the Total Solar Eclipse of August 21st. The PORTAL to Ascension is ONLY through the Portal to our Authentic Consciousness. The Gateway that has been occurring and will continue to occur is all about returning to OUR 12D authentic multidimensional being that existed before coming into this Earth Plane. This is Happening NOW. We are transforming back into this LIGHT BEING. We are living in the most interesting of times. This shift in consciousness is bringing to the fore ALL that we, as individuals and as a collective, need to change and transform. It is definitely not what many expected as the incoming cosmic energies get stronger and stronger and our soul’s impulse to evolve intensifies. In the past six months, a dramatic increase in the intensity of the energy sweeping the planet initiated a radical leap in our human consciousness. We have been awoken from our own self-created illusions and quite literally it’s a shift show! The chaos occurring on a global scale is part of this evolutionary shift in consciousness. The disruption of the world and the unity consciousness you are evolving to is part and parcel of this time. As one dissolves the other develops. I wish you could SEE yourself as I do. That you could SEE your light that wants to glow, show, come through every living cell. A star in human form, walking around star shine BEAMING, and star dust stuff in your every molecule of DNA. I wish you could FEEL yourself as I can. That you could feel your precious human heart that is the JEWEL of your species, that which makes you a beacon in all the Universes. Every tear containing the codes to unlock compassion, gratitude, forgiveness, and empathy. So many levels and layers to each feeling! Your reclaiming of your birthright around this embodiment providing waves of trust and support as you undergo your journey of awakening and remembering. Focusing on the Inner Grids allows for a sense of trust that Gaia’s light grids are doing just fine on their own. Gaia is a very powerful high dimensional planetary consciousness. She is ascending too. She is in process, just as we are on an individual level. Her 3D grid with the familiar model of grid lines and Ley lines seems to be dissolving….I believe this may be what has been called the ‘matrix.’ Dissolving seems to be the best word for what I saw in meditation around this. As the HIGH frequencies of love and light come into Her atmosphere, they are dissolving the holographic 3D grid that feeds on fear and lower vibrational energies. As we pass through and beyond the time of Solstice, it is becoming easier to feel the energetic shift that happened during this special time, as well as make sense of the lessons that came with it. Prior to the Solstice, and I apologize in advance for this, but for lack of better word, there was a real “yuckiness” to the energy that we were feeling. The deepest, darkest wounds are clearing from Mother Earth and the entire collective. We are like snakes shedding our dead skins, and this “skin shedding” consisted of and triggered feelings of anxiety, fear, worry, dread, hopelessness, despair, and depression. All I wanted to do was hide out beneath the covers in my bed and wait for it all to pass. And it all did pass. The Twinflame relationship can not be romanticized or idealized. This relationship is not about dependency or lustful desire. It is an authentic and divine love that is unconditional and beyond ego. This relationship transcends the limited perspective of the third dimensional consciousness. It is love that is on fire within the sacred heart of unity consciousness. Twinflame relationships can be more challenging than soulmate relationships because of the intense energies involved in preparation for the spiritual work they will do on earth. Those that wear the higher patterns of light and time without the constraints of Earth will be asked to go beyond what they deem suitable for their experiences as well as commitment to the cause. What this means is that you will be given deep soul insights that will ask you to fly higher, move more mountains and dance through space as well astime. You will be given instructions from the Universe within your heart that ask you to surpass any limitation you thought you had. You will be asked to become one with the legions of light, the legions of God that have no fear. Breathe Deeply, into the Depths of You. Connect more deeply with each breath to what appears now as invisible, known only through your HEART. One day, you will awake fully and all that is invisible to you will become visible. The Unseen Worlds reach out to infinity. Love links them Together. The Crystal Children are blissful and even-tempered. Sure, they may have tantrums occasionally, but these children are largely forgiving and easy-going. The Crystals are the generation who benefit from the Indigos’ trailblazing. First, the Indigo Children lead with a machete, cutting down anything that lacks integrity. Then the Crystal Children follow the cleared path, into a safer and more secure world. And now, the fearless Rainbow Children are pure givers ready to fulfill our needs. They’re little avatars who are all about service. These are children who are only here to give—Rainbow Children are already at their spiritual peak. Greetings Love Beings, As many of you are now aware, We are currently in a full planetary ascension which jump started in 2012. This awakening process is now speeding up. The more who awaken the quicker we move into the New Earth and put an end to the illusionary false matrix of fear, pain and suffering. The New Earth is all about balance, peace, joy, wholeness of being, and abundance of this all! If you have been feeling stuck lately, feeling tired, feel like your going backwards, doubtful, lost, going in circles or have just felt alone in the process and need some lift up, Or you could be facing some health issues, challenges and could utilize our 5d healing technology. If your confused or not sure what direction to go and what your mission is, WE CAN HELP! How would it be possible to live a fully balanced and whole life without the masculine traits that are complementing our feminine qualities? And this is not about getting this balance from outside – for example from our Divine partner – no, this is finding this healthy balance of the Divine Feminine and the Divine Masculine within. When we reach true balance within, then co-creation with others gets a whole different quality. Then we truly start creating “New Earth”, a world based on oneness and unconditional love. And… unconditional love we can only give and receive and fully embody, when we have reached the yin/yang balance within. Remember that the power being used is yours. You are the power here. See what the world has become, and own it. “Look at what we have become.” And then, as you the individuals, in your billions, make a decision. “I will not be that anymore.” Decide what you want to become and give all your focus and attention to becoming that. You may have noticed a change in the tenor and frequency of the messages you are reading. Take that as a sign of where you are in your progress. Understand now, however, that we are not saying progress as in going somewhere outside of you, but inside of you. You have great support in this. Just allow it to happen in the best way for all. One more thing for you to remember, your freedom is not just assured. It is, as you would say, a done deal. As Creator Beings you can step easily into your Creative Mastery and reclaim your true being-ness. The very reason you stepped foot on Planet Earth for this lifetime. As you fully accept yourselves as Creator Beings you no longer allow old negative thoughts or beliefs to control your daily activities. So much of the old has been transmuted from your physical vehicles and as more refined Light Codes flow through, the last vestiges of the old belief patterns will leave FOREVER. Truly this is a time like no other. The opportunities for growth and expansion into your true Mastery is what you are witnessing. As always Dear Ones, it is a choice how you view what is unfolding in and around you. Each has her or his own path, and that the intuitive following of that path, as your higher self guides and directs you, is one of the greater forms of soul expression you will ever experience as a human being, particularly at this point on the current timeline. Allow No One to judge the path you are walking. It is only for you to discover and fulfill, and not for another (including your left-brain, logical aspect) to judge as adequate or inadequate. You are here to fulfill that vision you had before incarnating. And so, sit quietly with your team of Guides, Angels, and Higher Self each morning, and present this conundrum to them. Say to them, “What did I come here for? You knew how the Earth would be struggling, at this point — the planet, and Her people. What did I specifically come here to do?”. Your consciousness evolves at the rate that it is supposed to. It evolves at the rate that is appropriate for you and that you will be comfortable experiencing. Any increase in the speed of the evolution of your consciousness can have unexpected and unwanted repercussions. You are able to sense when it is an appropriate time for you to increase the speed at which your consciousness is evolving. Now is a time in the evolution of the consciousness of the human collective where it is appropriate for a speeding up to occur. 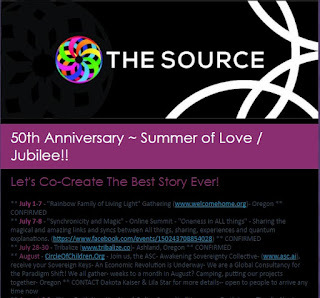 50th Anniversary ~ Summer of Love / Jubilee!! Know and understand that you are awaited and loved far beyond your understanding. It is great day for the heavenly light and the heavenly portals are wide open. Many welcoming hands are ready to receive you. Preparations have been made for your return and it will not take so long before we have the children of the Light with us again. The Angels play and sing in joy and love in praise of the great event that is now happening on Earth. 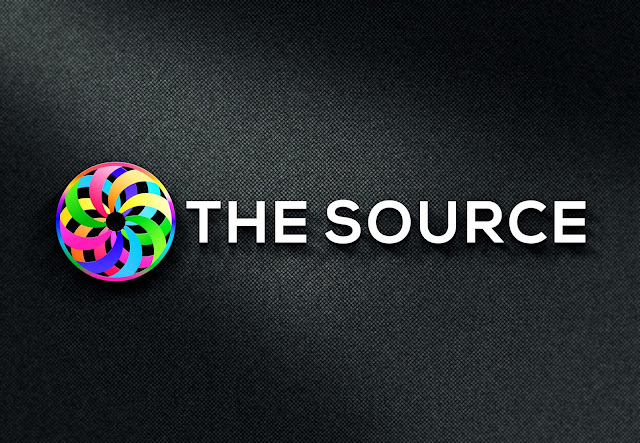 Jeshua ~ Who or What is The Soul? Who or what is that soul? It is a sign of courage to explicitly search for the soul in today’s world, to let go of the compulsion of rational restrictive thinking, and to search inside to discover what is alive within you at the deepest level, especially if it differs from the existing standards and social ideas. To again recognize and feel the soul is desperately needed in this world. It is the way back Home, back to who you truly are. It is from the light that is ignited there that you can imbue the world with new ideas, new energy, courage, and confidence. So much is needed here that can flow into the world from the channel of an awakened soul. These sessions provide you with Full Support of this process, and they are priceless. We Give You the Tools and Techniques to Prepare for this to make sure you are clear, prepared and ready, to make this jump with Mother Earth. In addition we help you remember your part of the Divine Mission. We assist you into full consciousness, Heaven consciousness, connection to the God within, conscious awareness, joy and happiness. We will also assist you in being present in the moment of now so that you can get to the experience of the magic of Creation. The Services we provide are nothing compared to psychology or psychiatry. We focus on the Soul, your journey on the Path of Truth, of LOVE. Ascension messages are flowing in daily. The following two messages were received this week. One came from the clouds; the other, from a dream. The messages are clear: something big is happening. Can you feel the excitement? Dragon Energy Upgrades: On Tuesday, I was in my backyard getting my daily dose of vitamin Sun. I was dreamily gazing up at the blue sky, peppered with fluffy white clouds, when I spotted the face of a dragon. Shortly thereafter, a second one materialized; then, a third dragon manifested. More kept popping up. Everywhere I looked, dragons were looking back at me. While I find dragons fascinating, I’m not in a habit of seeing them, nor do I have an affiliation with them; so, I knew I didn’t conjure up these images. There is a fine tuning of sorts happening now for all who are spiritually aware. Up to this point, serious seekers have been allowed to continue in some of their old energy ways without much repercussion, but because the resonance of earth has become so much more rarified, everyone’s corners of belief are being swept out and the spiritual leash has become very short. Remember this when small events and actions once considered unimportant, start to feel very important and may even bring in a sense of guilt which you don’t understand. This is because your energy field has become increasingly more attuned to the higher frequencies of Light causing you to easily sense when you are out of alignment. The Solstice week-long launch of the August Eclipse passage completed with the New Moon. As we render the cosmic rays of evolution and Gaia’s emerging expression into a new reality, we feel the larger operation of Source intent. Divine Will concludes lower storylines, and we allow our higher wisdom to reorder our perception. The direction to Open the eclipse pathway for the purer frequencies of the Primary Christed timelines to be available, felt, and utilized by Gatekeepers and Gridworkers became self-evident last week. The higher light expedites the bifurcation of realities; the widening gap is detectable. Even within the physical we notice the reflection of division. Heightened bliss and exhaustion, tranquil states of deep peace and dream-state busy-ness, expansion into the mystical formless realms and the consistent activations of embodiment. The abandonment process is a huge achievement, and requires great strength, courage, determination and perseverance. A long time would be necessary to explain what can help living abandoned and overcome the obstacles you may encounter. And each person, then, comes to the abandonment with his/her experiences and his/her times. The easiest way is to live the Essence of children. Children do not seek the meaning of what they live, they don’t think about the past, they do not program the future and live the present intensely. When stretch their hand to those who accompany them, they don’t ask where they are going, they totally rely, sure that those who guide them, take them where they need to go and protect them in everything.